CALGARY, May 31, 2018 /CNW/ - Explor Geophysical Ltd. ("Explor") has completed the first pre-commercial scale Ultra High Density (UHD) 3C 3D seismic survey using its PinPoint technology, confirming the viability of seismic acquisition without seismic lines. Over a small area, Explor acquired seismic data at a density of 100 million traces per km2 at full offset, with trace densities > 42 million traces per km2 at target depth. In sharp contrast to standard 'low-impact seismic' (LIS) methods, these data were acquired without preparing any lines or trails and without cutting down any trees or a single stem of vegetation, setting a new standard for seismic acquisition in the oil sands. While typical 'low impact' seismic projects in the oil sands region mulch 2.75-metre-wide seismic lines spaced 30 to 80 metres apart to accommodate equipment, the PinPoint method does not require seismic line preparation. Over the last two decades, the seismic industry has worked to reduce seismic line widths from conventional widths of 6 to 8 metres to current low-impact widths of 1.75 metres and 2.75 metres in the oil sands. While intended to minimize the use of lines by wolves and the associated increase to depredation of boreal woodland caribou, recent research has shown that wolves still use even the narrowest mulched lines. Thus, the most widely adopted mitigation measure to reduce environmental impacts associated with seismic lines - cutting narrower seismic lines - does not fully meet a key objective for caribou conservation. The Alberta Energy Regulator granted approval to test the PinPoint method through a riparian area where other seismic sources are not permitted, eliminating key gaps in seismic data coverage. This enhances imaging of caprock and reservoir attributes, key deliverables of seismic imaging for SAGD projects. 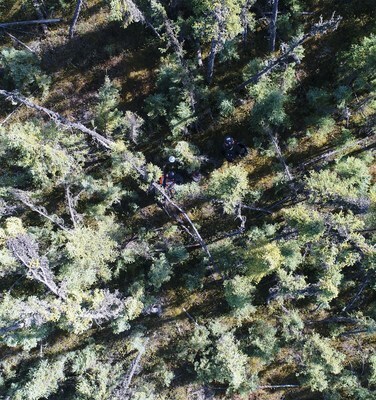 Explor was able to acquire the data outside the traditional winter operating season for seismic acquisition in the boreal forest, creating the potential for year-round zero footprint operations. Year-round operations represent a profound shift in the business model for the Canadian seismic industry, an industry sector that has seen major challenges during recent years. Explor is a privately held Canadian company that acquires high quality geophysical data with minimal environmental impact. Explor employs a team of qualified scientists across a range of scientific disciplines as well as project teams and logistics experts to accomplish its objectives through a rigorous continuous improvement process. Explor specializes in challenging and extraordinary projects. 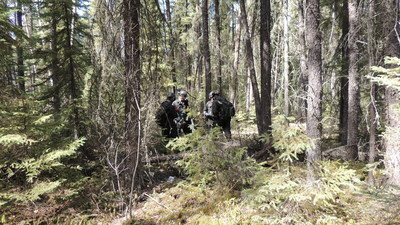 These PinPoint tests follow a series of 3D projects in the greater Montney play fairway in which Explor pioneered the elimination of receiver line clearing, became the first company to do Independent Simultaneous Shooting with Nodes (ISSN™) in Canada and demonstrated the value of high trace densities by attaining 1.25 million to over 5 million traces per square kilometer, successfully imaging previously unseen geological features while reducing environmental impact. If you would like more information about this topic, please contact Allan Châtenay at 403-263-5950 or email at [email protected]. Explor can also be found at www.explor.net and on YouTube, Twitter and Facebook.